We are very pleased to have Baja Designs as the newest sponsor of our off-road adventures. When we went looking for auxiliary off-road lights for the rig, we spent a great deal of time researching the various technologies, available products and the companies behind those products. 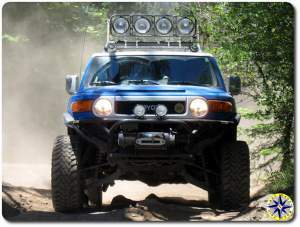 What we found from painstakingly analyzing our off-road lighting needs and asking for input from a number of experts is that Baja Designs has been developing top quality high-end aftermarket lighting systems for the off-road race industry for 14 years. 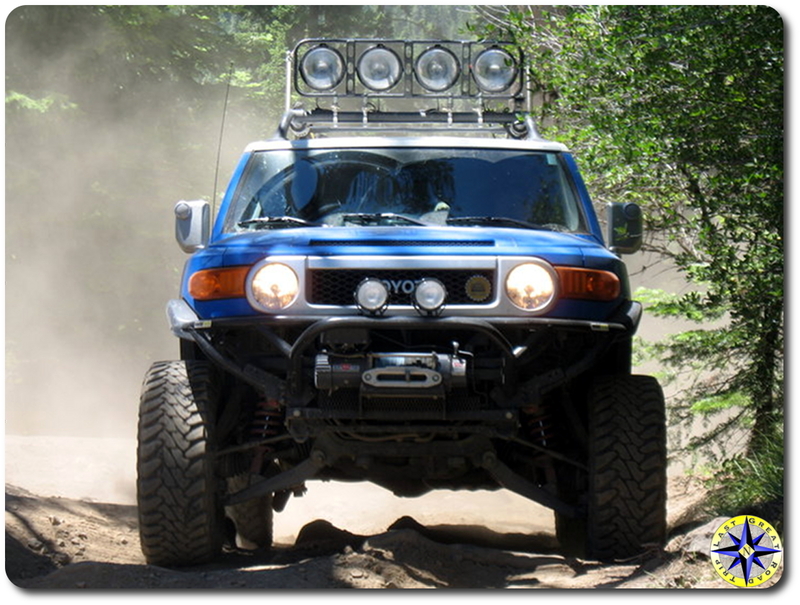 Baja Designs also offers a 3 year warranty on their Soltek Fuego 4″ and LaPaz 8″ lights. These guys stand behind their products. Legendary quality lights, warranty protection, crystal clear optics, one-of-a-kind tool free aiming system and guys that know the Baja like the back of their hand, oh yeah these lights are for us. When we contacted Chris Chapman at Baja Designs, asking for assistance and sponsorship support we were ecstatic to hear that they would help us out. 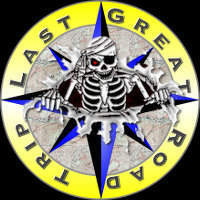 These are the same guys who are the official sponsors for the American Honda’s off-road team; we are in good company. 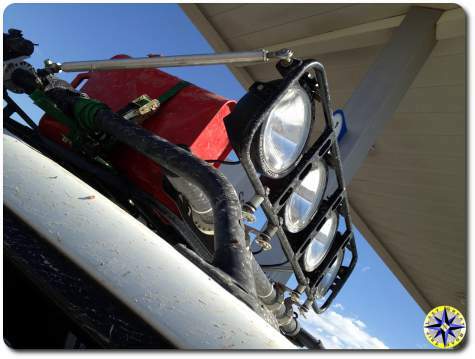 Over the coming weeks look for how to install off-road lights as we discuss the lighting basics and mount our two Fuego 4″ HID Lights on our Rig’s bull bar and four 8″ Soltek HID Lights on the roof. Hope those lights don’t slow you down. Are you putting them in front or on top?